Can be fed alone or mixed with the regular feed. Use 85 g (119 ml) of product per day for each 450 kg of body weight. This 5 kg package will feed the 450 kg. adult horse for 60 days. Adult Horses: For each 450 kg of body weight feed 85 grams (119 ml) of Barn Bag® per day in addition to hay and pasture. 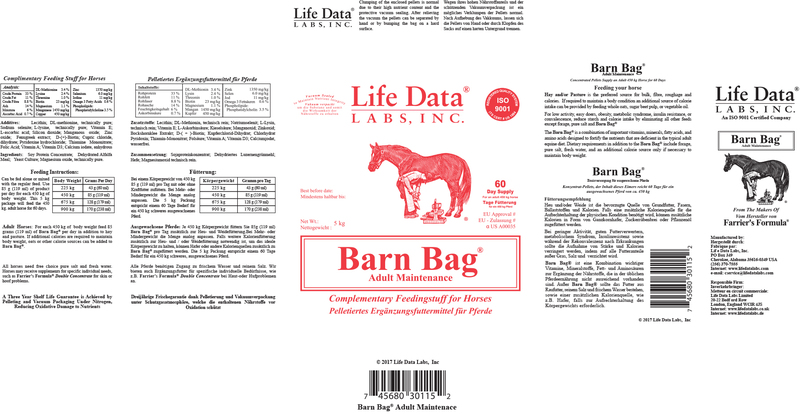 If additional calories are required to maintain body weight, oats or other calorie sources can be added to Barn Bag®. All horses need free choice pure salt and fresh water. 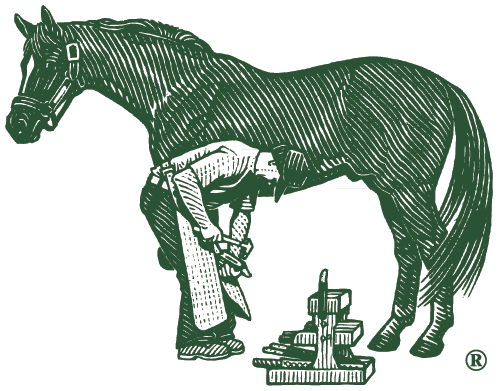 Horses may receive supplements for specific individual needs, such as Farrier’s Formula® Double Concentrate for skin or hoof problems. Hay and/or Pasture is the preferred source for bulk, fibre, roughage and calories. If required to maintain a body condition an additional source of calorie intake can be provided by feeding whole oats, sugar beet pulp, or vegetable oil. The Barn Bag® is a combination of important vitamins, minerals, fatty acids, and amino acids designed to fortify the nutrients that are deficient in the typical adult equine diet. Dietary requirements in addition to the Barn Bag® include forage, pure salt, fresh water, and an additional calorie source only if necessary to maintain body weight.